The Minnesota River has been described as the Boundary Waters of Southern Minnesota. Whether you live in the basin or somewhere else, come see what there is to offer including recreational opportunities, historical sites, cultural activities, educational programs, and much more. A visit to the Minnesota River Basin can involve whitewater paddling on Sand Creek near Jordan, beer tasting at Schell’s Brewery in New Ulm, camping under the stars at Upper Sioux Agency State Park and enjoying the Fiesta Community Celebration in Montevideo. A boiling springs . . . petroglyphs on the prairie . . . second oldest family brewery in the nation . . . a 9,000 year old skeleton . . . birthplace of Sears . . . are just a few of the amazing and intriguing places you can visit in the Minnesota River Basin. Encompassing close to 20 percent of Minnesota, this basin has much to offer when it comes to natural, historical and cultural significant sites. 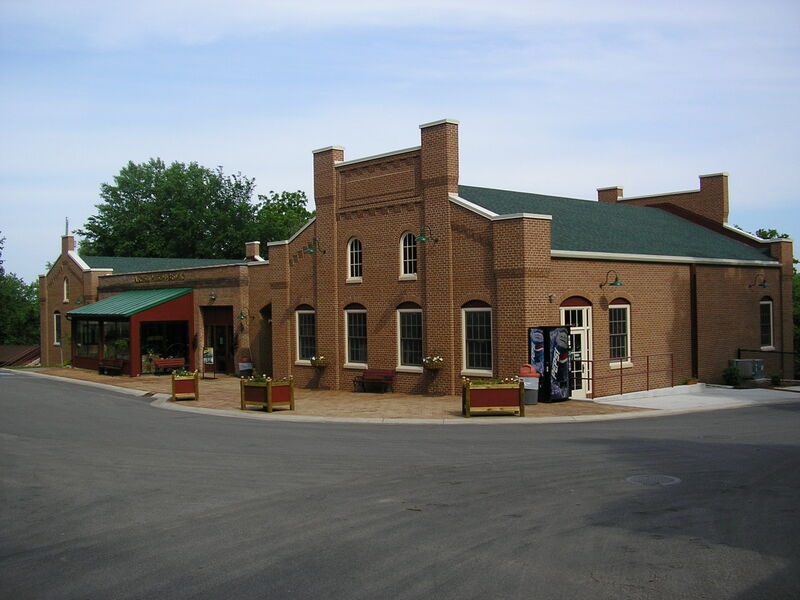 Schells' Brewery is the second oldest family brewery in the nation and features a modern gift shop, musuem and tasting room. Carved out 12,000 years ago, the Minnesota River Valley is filled with a fascinating selection of historical and cultural sites. Travel from Fort Snelling at the confluence with the Mississippi River all the way to Browns Valley at the far end of Big Stone Lake to learn all that you can about the basin. Northern, walleye, catfish and sheephead are just a few of the fish you will catch in the Minnesota River and its many tributaries. The number of fish species and abundance has seen a significant rebound over the last few years. Get outside to try your luck either by boat or shore and don’t forget one of the fishing derbies taking place in the basin. Go for a refreshing dip in the pond at Flandrau State Park along the Cottonwood River or in one of the many swimming pools found in cities of all sizes from Bloomington to Mankato to Dawson. Places like Big Stone State Park offer a sandy beach right on the lake and for more of an adventure the City of Benson features a water park right next to the Chippewa River. One of t he favorite activities by people of all ages across the Minnesota River Basin is paddling their favorite river. Some offer more of a challenge like the Rush River south of Henderson or Beaver Creek in rural Renville County. Other rivers are more of a family experience including the Chippewa and Pomme de Terre rivers in the Upper Minnesota River Basin. 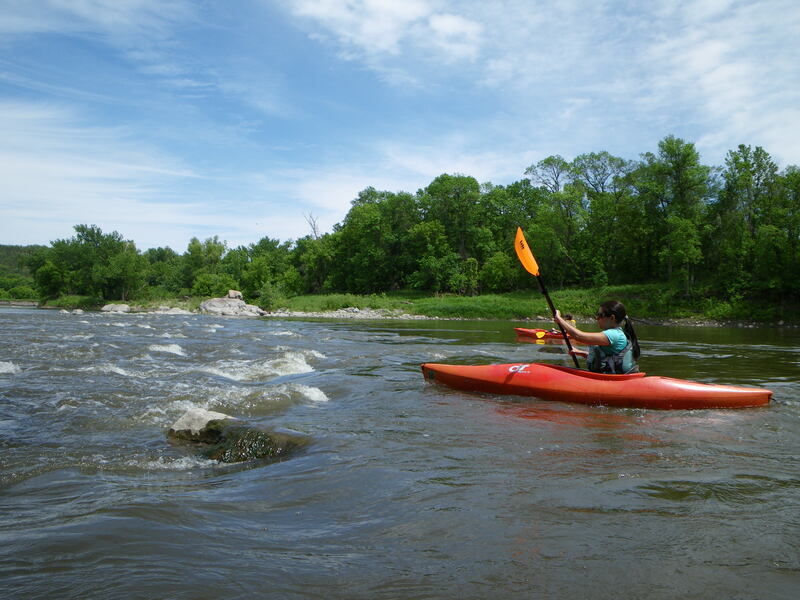 Paddle the Minnesota River with stretches of rapids, calm water and beautiful scenery including along the Renville County line. Try out one of the state parks in the basin for an unique camping experience – Camden State Park in western Lyon County or Lac qui Parle State Park situated along the a reservoir filled with fish and waterfowl. Each of the counties maintains park systems for the public along with many of the cities offering a place for people to camp and enjoy what the Minnesota River Basin has to offer. From the trails found at Upper Snelling State Park all the way out to Sibley State Park in the far northwest corner of the basin a person will find great places for hiking. One of the more exciting trail systems being developed is along the Minnesota River from Upper Sioux Agency State Park downstream to Fort Ridgely State Park. Hard surface trails for bikes are becoming a big part of people’s outdoor adventures. Look for the Red Jacket Trail System in southern Mankato or the trail from the town of Franklin out to Fort Ridgely State Park. More trails are being planned to connect communities along the Minnesota River and beyond. Most of these trails are for multi-uses. See the Minnesota River Basin in a whole different way that harks back to a time before automobiles. Some of the best places to ride horse can be found at Rush River Park near Henderson and the two state parks – Upper Sioux Agency (near Granite Falls) and Fort Ridgely (south of Franklin). Check out the Minnesota Valley Trail with its multi-use trail running from Shakopee to Belle Plaine. The Minnesota River Basin features unlimited opportunities for going bird watching starting at the two national wildlife refuges – Minnesota River Valley and Big Stone – found at either end of the river. Other hot spots include the river town of Henderson with their ode to Hummingbirds, Marsh Lake south of Appleton featuring Minnesota’s largest American Pelican rookery and any of the wildlife management areas scattered across the basin. 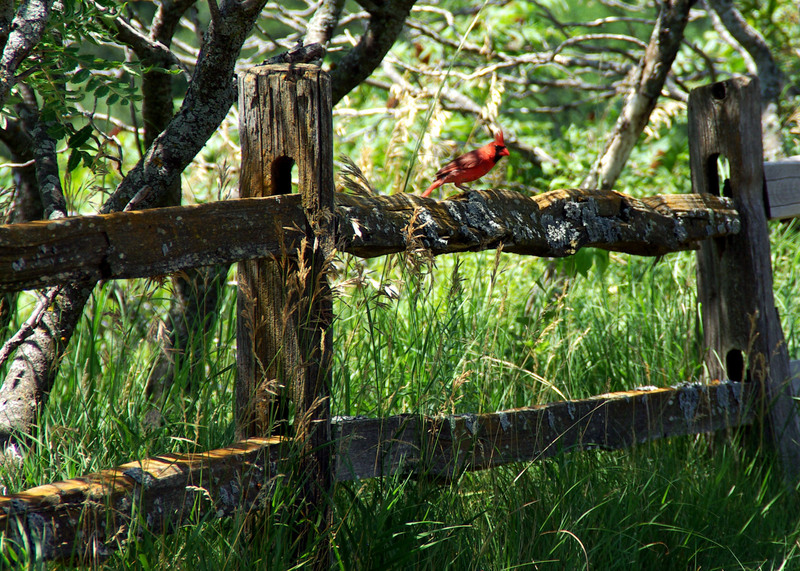 Opportunities are everywhere for catching the sight of birds (photo by Ron Bolduan). Opportunities for hunting abound in the Minnesota River Basin whether it is for wild turkeys, pheasants, white-tail deer, all types of waterfowl, and more. Both of the Minnesota Valley and Big Stone national wildlife refuges are open to hunting along with a large selection of Wildlife Management Areas managed by the Minnesota Department of Natural Resources. Minnesota River Valley Birding Trail - http://www.birdingtrail.org/ Spans the Minnesota River Basin from its headwaters near the South Dakota border to its confluence with the Mississippi River in the Twin Cities. Minnesota River Valley Trail - http://www.dnr.state.mn.us/state_parks/minnesota_valley/index.html This multi-use trail runs from Shakopee to Belle Plaine and opened for hiking, biking, cross-country skiing, horseback riding, mountain biking, snowmobiling and camping. Minnesota Valley National Wildlife Refuge - http://www.fws.gov/midwest/minnesotavalley/ This urban wildlife refuge is located along the Minnesota River starting at the Twin Cities and stretching into rural Sibley County. Big Stone National Wildlife Refuge - http://www.fws.gov/refuges/profiles/index.cfm?id=32640 Found at the western edge of the Minnesota River Basin, Big Stone NWR is a favorite stopping off point for a large number of waterfowl. Minnesota River Sips of History Trail - http://www.mnriverwinebeerhistorytrail.com/ Explore the Minnesota River Basin through an unique trail focusing on wine, beer and history. Minnesota State Parks - http://www.dnr.state.mn.us/state_parks/index.html Find a state park in the Minnesota River Basin including Fort Snelling, Minnesota River Valley, Minneopa, Flandrau, Fort Ridgely, Upper Sioux, Camden, Monson Lake, Glacial Lake, Sibley, Lac qui Parle and Big Stone. Minnesota Historical Society - http://www.mnhs.org/index.htm Learn more about the state historical sites found in the Minnesota River Basin including Fort Snelling, W.W. Mayo, Traverse de Sioux, Harkin Store, Jeffers Petroglpyhs, Birch Coulee, Lower Sioux Agency and Lac qui Parle Mission. Minnesota DNR Scientific & Natural Areas (SNA) - http://www.dnr.state.mn.us/snas/index.html A number of SNAs are located in the Minnesota River Basin including Bonanza Prairie at Big Stone State Park, Gneiss Outcrops near Granite Falls and Seminary Fen near Chaska.